(Coppell, TX) - As 50 million children across the country begin heading back to school, AAA urges motorists to slow down and stay alert in neighborhoods and school zones, and to be especially vigilant for pedestrians during before- and after-school hours. 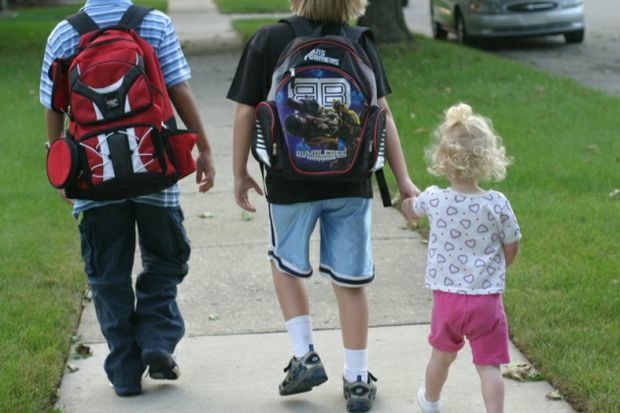 The afternoon hours are particularly dangerous for walking children – over the last decade, nearly one-third of child pedestrian fatalities occurred between 3 and 7 p.m.
Across the nation more than 309 child pedestrians died in 2014 and 11,000 were injured. In Texas that same year 26 child pedestrians died and two of those happened during school transport hours.